Though we all grow in different branches, all has a root. Finding it gives happiness and pride. 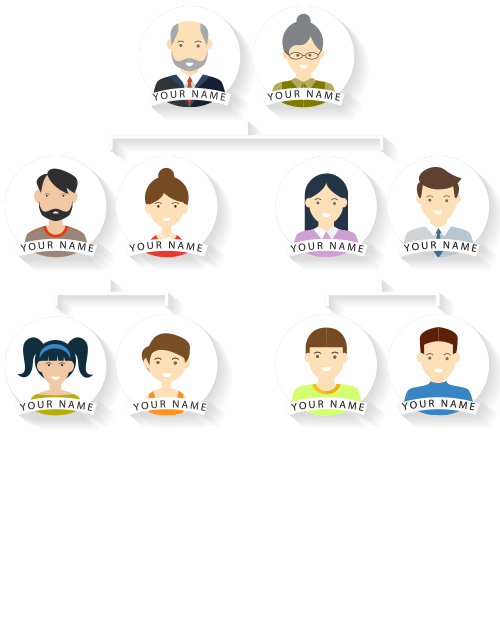 The family tree helps to trace the root of each family and interconnect them to the kith and kin. Read what's the people are saying about us. We encourage you to publish your Success stories here. We hope you can see motivation as well as insight as you use this website to build your family tree. Dear Team Familyroot ! Sincerely appreciate the developers to design such a wonderful site and the idea which is a blessing to bring this concept of "family tree" . I found this very user friendly and also reliable and the most important aspect is the support rendered at any given point to finish the task. I wish you all a great sucess in this endeavor and the team work behind this great achievement. God bless you all !! Thanks for letting me create my family tree web page. Actually I was trying to create one for my family website - kizhakepeedika.com. Your soft ware is very user friendly, editing very easy. Thank you once again for letting me create my family tree free of charges. God bless you. To see all the family members together in one place, that's a blessing. Really it is maintained for the new generation who can understand each and every one by means of thwe family tree. It's an appreciation personally to you Mr Mathew George and your team because you have done the very best through this web site www.myfamily root.com. Many thanks once again to you and your entire team members.